Chin up princess, or the crown will fall off. 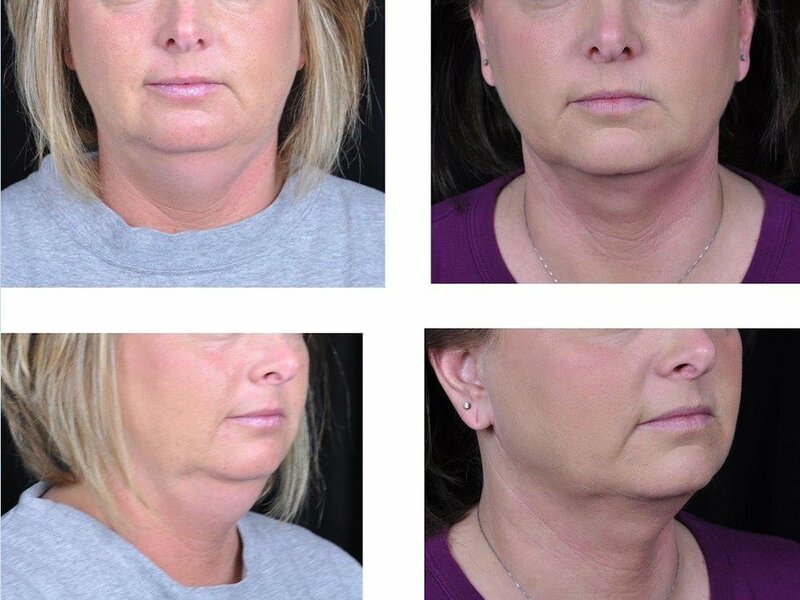 Liposuction of the neck, face, and jawline is often the treatment of choice for clients with excess fat under the chin, fat along the jawline causing blunting of the cervicomental angle, and increased fat in the neck region. Typically, clients who are younger than 55 years old are the best candidates for liposuction of the face and neck since the procedure will deflate the area treated, and the skin will need elasticity to retract and conform to the new shape. The liposuction process involves making several small incisions big enough to insert a small tube (that is about the size of a long Q-tip). The tube is then attached to a suction device which creates negative pressure to remove the fat. This procedure is minimally invasive and is performed using a local anesthethic called tumescent anesthesia. Bruising is normally minimal, and a surgical wrap will need to be worn for four to five days after the procedure to ensure that the skin retracts into the right position. Liposuction is a minimally-invasive, safe procedure that will restore the counter of the jawline with minimal downtime. For older clients who have more skin laxity in addition to fat deposits, face and neck liposuction can be used in conjunction with procedures that remove the excess skin such as a mini facelift or necklift surgery.